Consider this post the antidote to your weeknight, â€œMan, I want takeout!â€� blues. Step one? Make a sauce that brings big flavor. Weâ€™re sharing a recipe for our Miso Stir-Fry Sauce in this post, but any sauce recipe you love works just as well! Step two? Use the Tovala Appâ€™s built-in recipes to cut down on the dinnertime scramble. 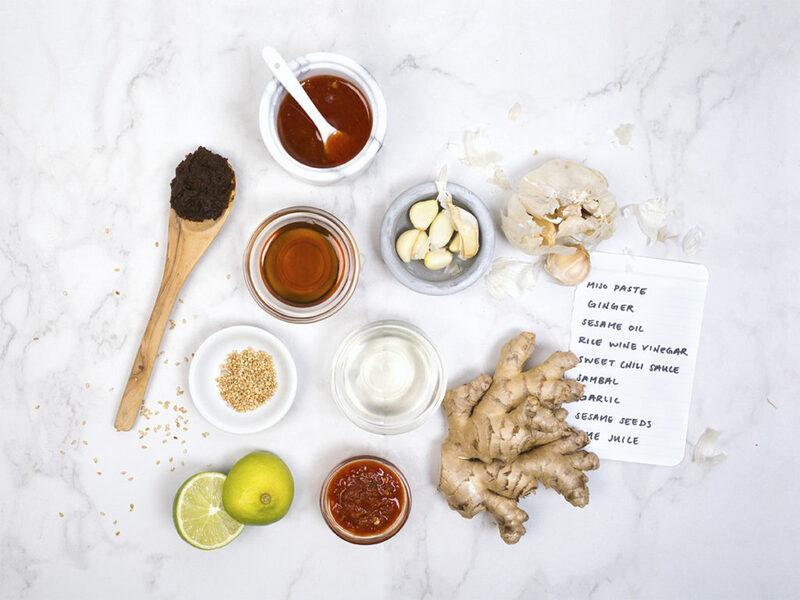 Our Chief Culinary Officer describes this Miso Stir-Fry Sauce as â€œthe definition of umami.â€� Itâ€™s a really exciting balance of salty, savory, and sweet with a little heat to finish it off. When you make it, youâ€™ll smell the bright sesame oil, earthy red miso paste, and enticing notes of sweet chili sauce. The recipe below makes about 1 cup of Miso Stir-Fry Sauce. Using a whisk, mix everything together in a bowl until evenly incorporated. Thatâ€™s it! 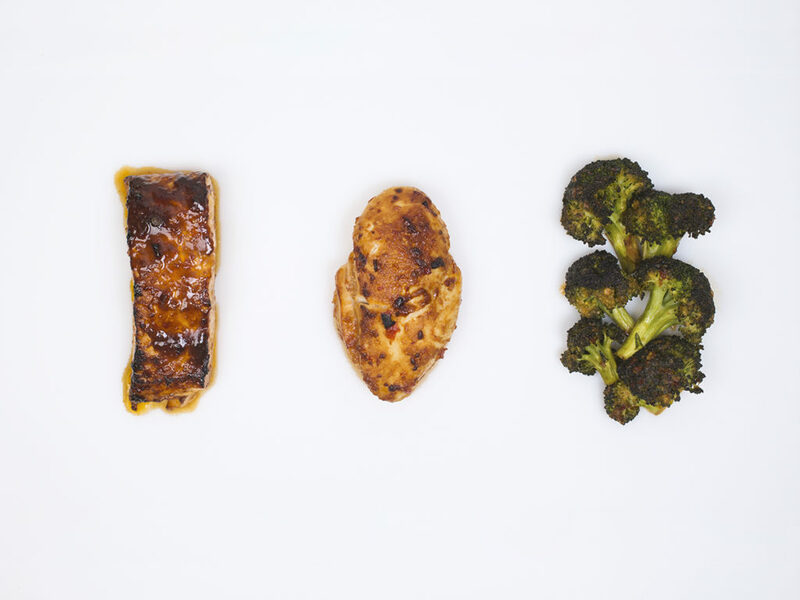 Place chicken breasts on your Tovalaâ€™s sheet tray, pour over the Miso Stir-Fry Sauce, and then just press â€œCook it!â€� under the Chicken Breast recipe for juicy, dreamy results. Use 2 tablespoons of sauce per 6 oz chicken breast. Use it as a glaze for salmon filets. Pour it over your salmon before you cook it, and then press â€œCook it!â€� under the appâ€™s Roasted Salmon recipe. Use 2 tablespoons of sauce per 6 oz salmon filet. While we have the utmost enthusiasm for stir-fry in a wok, an equally tasty and less labor intensive alternative is tossing your broccoli in a bowl with our Miso Stir-Fry Sauce before roasting. Then, press â€œCook it!â€� under the appâ€™s Roasted Broccoli recipe. Use Â¼ cup of sauce for every 3 cups of broccoli. Part of a vegetarian â€œstir-fryâ€�â€”just add cubed tofu to a bowl with your broccoli florets, coat everything in the Miso Stir-Fry Sauce, and then cook them in your Tovala on the sheet tray! Try these three suggestions above, or use this sauce with any of the other recipes weâ€™ve built into the Tovala App! Weâ€™re talking Asian-inspired chicken wings, brussels sprouts, shrimp, carrots, and more. Hopefully it simplifies dinner for you, with delicious results! And let us know how dinner turns out by tagging us with #RethinkHomeCooking.